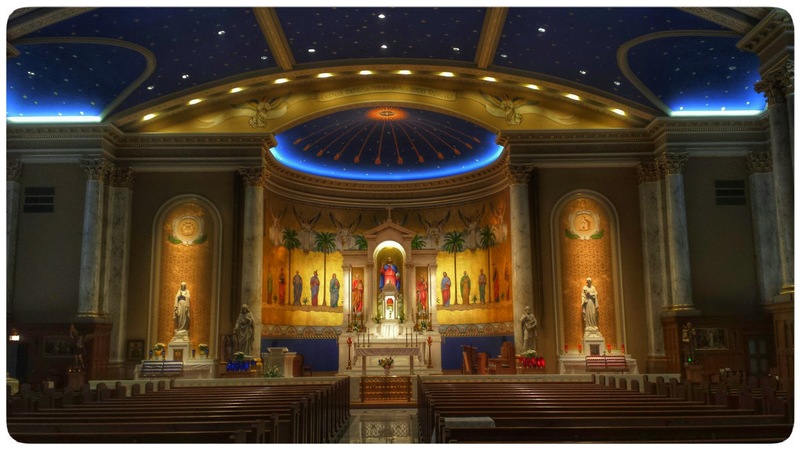 This is one stunningly beautiful church, featured in the EWTN documentary, "Where Heaven Meets Earth." (Worth 28 min of your time). That is exactly what one feels upon entering the Church and contemplating this scene. Pray to the Holy Spirit!